Pyrus is a genus of trees or shrubs, sometimes with thorns. Leaves alternate, simple, toothed, sometimes lobed. 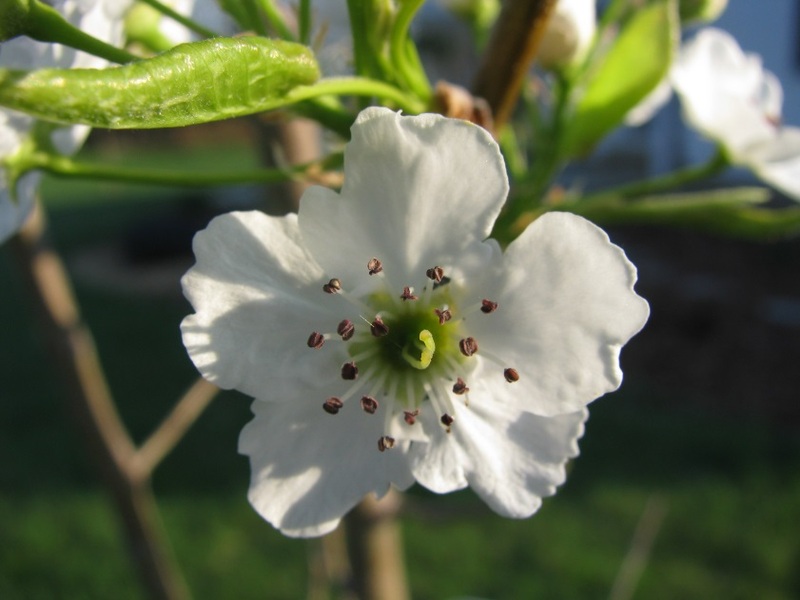 Flowers showy, white to pink; radially symmetrical, five parted, petals arising from a rounded structure (hypanthium) that surrounds the ovary, stamens 15-50, shorter than petals, styles 2-5. 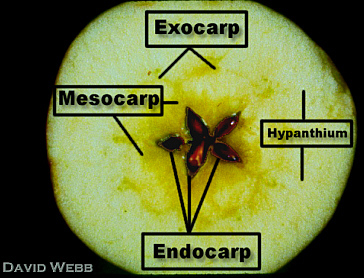 Pyrus malus.fruit anatomy.David Webb.www.biologie.uni-hamburg.de (Accessed 9/2015). Fruit outer layer fleshy enclosing several stiff, cartilaginous seed cavities (core) each containing two seeds, these often toxic due to cyanide producing toxins.